Hello Everyone! Today I would like to tell about my Workshop WOW presentation that Stampin Up asked me to give at the Columbia Regional. All the Demonstrators attending the Columbia Regional were sent an email message asking for card submissions for the Workshop WOW. We were to have been notified about two weeks prior to the event. 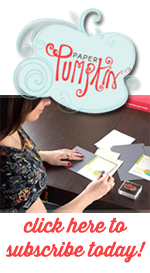 Well, it was one week past the time that Stampin Up was to notified the ones they picked so I figured that Stampin Up received better ideas and cards than mine. 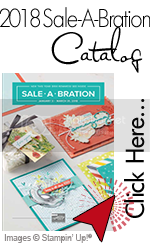 About one week prior to the event, Stampin Up called me and asked if I would be interested in giving a Workshop WOW presentation. I was so surprised that I asked the girl to repeat herself. At first I didn't know what to say, then I said "Sure!". She said that Shannon West would be contacting me for all the details. I was in 7th Heaven. I just couldn't believe it. Of course, I got all nervous planning and practicing my presentation and since the presentation was for 5 minutes I had to changed everything at the last minute because I was taking too long. Anyway, as nervous as I was, my presentation was just fine. I think that I've kept you in suspense long enough. What did I do for my Workshop WOW? I presented some ideas and tips on using those "negative punch pieces" that everyone has. I used a couple of my earlier cards since they fit the theme so well. Plus I made some additional samples to illustrate additional ideas. I also had some extra punched pieces to show how to utilized those on a scrapbook page or a card. I did see some of the ladies shaking their heads in acknowledgment that this idea and tip was very helpful. I started with a piece of Whisper White cardstock that was stamped with an image from Delightful Decorations stamp set. I punched it out and showed the two pieces that were created. The positive piece, which was the ornament stamped shape, and the negative piece that is left after you punch out a shape. The 3 x 3 card on the left is an example of using the negative ornament shape from that punched piece. What a great way to makes some gift cards for your Christmas presents or use them for tags. Then I showed the "Elegant Christmas" and "Quick and easy Deck the Halls Christmas Cards" cards that I posted earlier as an example of using the negative scalloped circle punch. with the scalloped circle punch. In the picture above, the card on the right I made using the same layout as the above two cards with the Pesto Papers, the Heart punch and the 2-3/8" Scallop Circle punch. The card on the left showed how I used the 2-3/8" scallop circle from the card on the left and also the negative and positive pieces from the Embosslits Scalloped Heart of Hearts die on the same card. The card on the left illustrates how I used the "negative punch piece" technique to recycle a stamping error. The center of the tombstone from Graveyard Gala didn't stamp very well and I couldn't use it for an invitation. So I punched out the bad part, added some ghosts and bat and made a card. The reverse side of the positive piece or the basic gray scalloped circle I'll use as a mat with another punch piece. I then showed them a few negative punch pieces and a picture. I first laid the Real Red negative punch piece over the picture and used it as a frame. I then placed the other pieces and suggested that one could write a name in the Word Window punch space. In the two little negative heart pieces, you could put a pearl in each or just leave them empty. All the pieces could be embossed or stamped or decorated in many ways. These were just some of the ideas and tips that I came up with in my 5 minute space of time and hope that they also helped you to use your imagination and be more creative with your "negative punch pieces". It eliminates waste and puts those scraps to better use than the trash can. I hope that I was able to help today and welcome any and all suggestions and comment. Thanks for looking. WOW is the right word here!!! These are just awesome....so pretty. Now I want ALL the punches. So pretty.....oh, and congratulations of your presentation! These are some wonderful ideas! I will be using them in my next class! Aren't punches wonderful? Great job Diane! YOU ROCK! Diane, I know you did a great job...wish I could have been there to see your presentation! You rock, gf!! diane these are really WOW cards... i especially like eur bet card.. gr8 way to hide one's mistake.. n also like the one with pictures.. gr8 way to make personal cards.. Thanks for sharing and reviewing your WoW presentation Diane. It's a wonderful WoW indeed! great ideas! love the creativity of not wasting anything!